Philosophical practice is a new alternative form of counseling to people, who don´t feel, that priests, doctors, coaches or psychotherapists, can offer them enough help concerning their spiritual/existential questions and problems. It is a possibility for asking a philosopher for advice. It is a rebirth of something very old, perhaps close to the authentic origin of philosophy, for example Socrates´ philosophical dialogues at the town square in Athens, or the philosophers in ancient India and China, who ordinary people could come and consult regarding their daily problems. The idea about philosophical practice, in its current form, originally came from the German philosopher Gerd B. Achenbach. The first of May 1981 he opened, as the first, a philosophical counseling-practice. In 1982 he founded the German Society of philosophical practice, and ever since the phenomenon has spread all over the world. In 2002 the Danish Society of Philosophical Practice was founded and established by a circle of philosophers, psychologists, idea-historians and people of education, with the purpose to create a professional forum in Denmark for development, research and information about the philosophical practice. This happens through lectures, courses, network, and others activities, which can promote the understanding and interest in philosophical practice, as well as the society has plans about continuing education and certification of philosophical practicians in Denmark. However there doesn´t exist an actual education to philosophical practician. But in order to ensure the professional competence, and not to become mixed with the fount of educations, which is found in the alternative therapy market, most philosophical practicians agree, that a minimum requirement to a philosophical practician is a MA in philosophy or history of ideas. The relationship between science and alternative health care/consultation is a subject, which is very popular for the time being. In this connection philosophical practice is an extremely interesting phenomenon, partially because it features many of the elements which the educations in the alternative therapy market also seek to implicate, partially because there at the universities (especially at DPU) are being worked with developing philosophical practice as a serious and scientific well-founded way of counseling. However this still happens in a rather academical way, and in Denmark there are still very few practising philosophical practicians. Philosophical practice is a unifying term of two different basic methods: philosophical counseling and the philosophical café. Where philosophical counseling mainly is connected to dialogues face to face, then the philosophical café of course is used in groups. Both methods are however common in that way, that they, through dialogue, involve the participants in a self-inquiring practice, where it is about asking philosophical questions. In the following I will concentrate about philosophical counseling, and show differences and similarities in relation to psychotherapy and religious counseling. I will of course concentrate about the method I use in my own form of philosophical counseling. 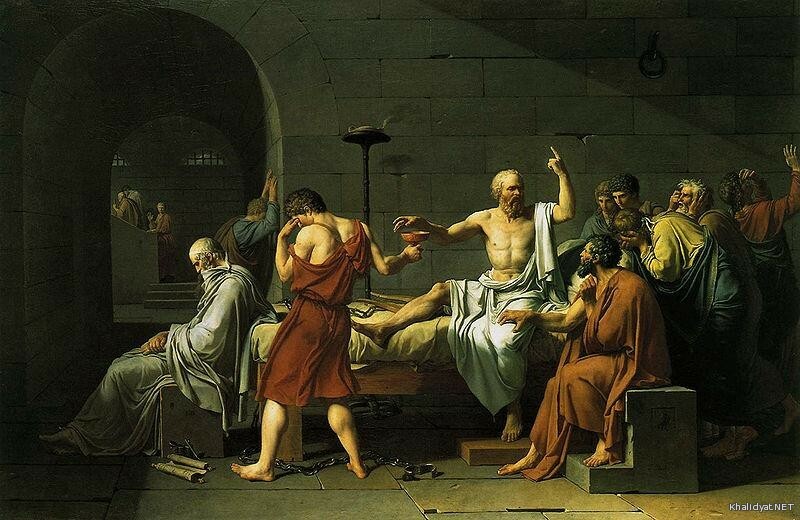 I will end the article with a short appendix about the philosophical café. In philosophical counseling philosophy is understood as a way of life, where you strive after wisdom and happiness; that is to say: where you practise a certain realized and clarified way of life. In this it differs from the academical philosophy, where the work with philosophy is a purely theoretical activity, included the so-called practical philosophy. Traditions where the concept of philosophy slides in one with a certain existential form of training and therapy, is found, both in the East and in the West. From the East can be mentioned Indian and Buddhist philosophy, Taoism and Zen Buddhism. From the West can be mentioned Greek and Roman philosophy, and the whole tradition of mysticism within Christianity, Judaism and Islam. A good introduction to this is Aldous Huxley´s book The Perennial Philosophy. A more academical introduction to the understanding of philosophy as a way of life, is found in Pierre Hadot´s Philosophy as a Way of Life - Spiritual Exercises from Socrates to Foucault. Even though the modern concept of philosophical counseling primarily goes back to the Stoics and Socrates, then the great philosophers within all the different wisdomtraditions always have seeked to pass on an art of life of a more or less philosophical kind. They namely asked philosophical questions - that is: not in an intellectual way as in the academical philosophy, and not as that to repeat a mantra - no, they asked philosophical questions in a meditative-existential way, as the wordless silence within a strong, existential wonder. As Aristotle said, then philosophy begins with wonder. We all know the wonder we can feel when we look at the stars, or when we are confronted with all the suffering in the world. This wonder fills us with a silence, in which all thoughts, explanations and interpretations withers away. It is in this silence we ask ourselves the great, philosophical questions, open inwards and outwards, without words, without evaluations. The wordless silence within the existential wonder is the same as asking philosophical questions in a meditative-existential way. And it is this philosophical questioning which can be the beginning of a deep examination of Man and reality – a lifelong, philosophical voyage of discovery towards the Source of life: the Good, the True and the Beautiful. However most people loose this silence, and get satisfied with explanations and interpretations. That is the difference between the great philosophers and ordinary people. The great philosophers had a strong longing after something inexpressible, after something which couldn´t be satisfied by explanations and interpretations – perhaps a longing after awakening – or after realization. With the whole of the body, with life and blood, with soul and spirit, with brain and with heart, they asked into, and were investigating themselves and life. They asked questions to everything, and were investigating it in a meditative way, as if it was something completely new. Simply because this philosophical questioning and inquiry itself constitutes an absolute central meditation-technique, which opens the consciousness in towards the Source. In other words they used philosophical questions as universal koans. All other spiritual exercises were in fact only used to support this. It is the philosophical questioning and inquiry that in the end will open the consciousness in towards the Source. In all wisdomtraditions you can find descriptions that show that the moment of enlightenment happens in this way, either alone, or in a dialogue with a master. Philosophical counseling is not guru-centric and can´t succeed without the guest´s own active participation (philosophical counseling doesn´t talk about clients, but about guests). The insights are the guest´s own, as well as the relief from false conceptions, restrictive assumptions and thought distortions. Philosophical counseling is in other words a rebirth of that kind of dialogue, which is not based on religious/political doctrines, ideologies, myths or conceptions (or as today: psychological theories/management theories), but on realization and inner transformation, and which has been used by great masters such as Socrates, Epicurus, Confucius, Ramana Maharshi, Krishnamurti, and Dalai Lama - see my article The philosophy of Krishnamurti. Even though these masters give answers to questions, then these answers therefore are not conclusions to anything, as you for example see it in politics or religion. The answers are only tools for the questioner´s own self-inquiry. That will say, that they are a help discovering the implicit philosophical questions of the problems, and investigating them in a meditative-existential way. And this is the central about philosophical counseling. This also means, that philosophical counseling is not a philosophy-class (teaching history of philosophy). And if there are involved answers, which other philosophers or theories have given, then it is only with the purpose of the self-inquiring practice. 1) Critical thinking (spotting thought distortions, created by dualistic unbalance, both in yourself and in others - my book A dictionary of thought distortions functions as a manual on critical thinking and therefore on philosophy). You may say, that philosophical counseling follows the teaching that truth is a pathless land. In that way philosophical counseling helps the guest to develop spiritual by developing his own teaching - to become a light for himself, to become his own teacher where he happens to stand – and at the same time has the philosophical aspects of the spiritual practice with him, as it is the core in all wisdom traditions. What is the difference between philosophical counseling and psychotherapy? Philosophical counseling (and therefore true spiritual counseling) claims that our problems, and suffering as such, are due to a separation of the observer and the observed (this separation is a central theme in my book A Portrait of a Lifeartist). In its practice it directs itself away from the observed, towards the observer himself (the form of consciousness: the one who evaluates, who says yes and no, who accepts and denies, who compares with earlier and hopes/fears something else), and not the observed (the contents of consciousness: feelings, thoughts, experiences, sense impressions, memories, wishes, hopes, fears, lusts) as in psychotherapy. Its questions therefore become of existential, conceptual, ethical, epistemological and metaphysical kind. They are therefore in their essence philosophical, as for example the question: Who am I? (To ask philosophical questions in a meditative-existential way is a central theme in my book Meditation as an Art of Life – a basic reader). Psychotherapy is a branch of psychology, and therefore something scientific, which directs itself towards aspects of the observed, that can be empirical tested. Therefore it must not contain philosophical and/or religious theories. But this is precisely what the whole of the New Age and self-help environment are doing, when they reduce religion and philosophy to psychology, and in neglecting the observer, they are misguiding their clients philosophical and spiritual (see my articles The devastating New Age turn within psychotherapy and Humanistic psychology, self-help, and the danger of reducing religion to psychology). Since the observer is the producer of thought distortions, the consequence is that they overlook the problem of thought distortions, This is especially seen in the ignorance of Subjective validation. Numerous psychologizing therapies and techniques within New Age and self-help simply can´t be understood, nor succeed, without understanding the thought distortion Subjective validation (for example Neuro-linguistic Programming (NLP), Nonviolent Communication, Law of Attraction, Personality typing, Hypnotherapy, The Work, Astrology, Clairvoyance, Channeling, Human Design System, different healing methods, etc., etc.). These therapies and techniques are dependent of that Subjective validation is active in the client, or else they won´t work. They, and Subjective validation, are two sides of the same coin. They are therefore also dependent of, that all kinds of critical thinking are eliminated. The role of Subjective validation in these therapies and techniques are therefore also the reason for, that there never has been a successful scientific validation of them under properly controlled conditions. The effects of these therapies and techniques will therefore not go beyond the effects of Subjective validation. Subjective validation is active when people will validate a set of statements allegedly about themselves as highly accurate even if these statements not are accurate (read more about Subjective validation and other thought distortions in my book A dictionary of thought distortions). A special problem in connection with the New Age turn within psychotherapy, is the positive psychology of the self-industry. The movement of positive psychology is especially caught by the thought distortion called Illusion of control. Control makes us feel powerful, which is a good feeling. And feeling that there is a right order in the universe – a law of attraction - and that some kind of “positive” thought technique can control everything that happens - is comforting to many people today. The shadow, our dark side (the painbody), is, through the inner evaluating ego, connected with the more dangerous depths of the astral plane´s collective history; you might call it original sin or negative karma. This you can´t control. In philosophical counseling you will be encouraged to find a religion you can use as a frame of reference in your spiritual practice (see my article The value of having a religion in a spiritual practice). Because, only an intervention from the source (God, Christ, the enlightened consciousness) can basically help Man with a trancendence of the negative karma of the original sin. But in order to be able to receive this help you must do your part of the work: the spiritual practice. Many years. And this means that you need to re-structure the ego´s ownership to things, food, personal power, sexuality and emotions. Spiritual practice is in all simplicity about separating and dismantling the consciousness´ automatical identification with all this, in order to turn the consciousness in towards its source. And religion functions as good frame of reference in this work. First thereafter the mystical process can begin. The magnet of attraction, which the ego is controlled by – (the ego´s identity with the material world: instincts, sexuality, emotions, desires, collective ideals, ownership, personal power) – will in a true spiritual practice loose its attraction. Investments in the material world´s ups and downs, its demands, temptations and dramas, become undramatized, uninteresting, even meaningsless, in relation to the consciousness´ opening direction in towards its spiritual essence: the now, the wholeness, life itself, and finally: the eternal otherness, from where the good, the true and the beautiful are streaming as grace and forgiveness. In this movement in towards the source you begin to ask philosophical questions in a meditative-existential way: Who am I? Where do the thoughts come from? What is consciousness and where does it come from? Is there a meaning of life? How does man preserve peace of mind and balance in all the relationships of life? How do we learn to appreciate the true goods and flout all transient and vain goals? Is the destiny of Man part of a larger plan? In this way the grab, which the material world has in your mind, is automatically reduced (again: I have explained this in my book Meditation as an Art of Life – a basic reader). Very few people will be willing to do this work. On the contrary many people have today done an illusory work of trying to re-define this ancient wisdom, so that the magnet of attraction directly is becoming the object of worship. That´s what positive psychology and the law of attraction movement are about (see my article The New Thought movement and the law of attraction). Another aspect of the true spiritual practice is that you break the automatic process of compensatory karma, which is closely related to the material world, laws of nature, cycles of life, yes actually pure causal regularity of mechanical kind. It would be an illusion to connect such things with a superior intentional divine order. Furthermore you have your free will either to continue to be identified with the area of compensatory karma, or break with it, and move in towards the source, which is the area of progressive karma (where the mystical process begins) – about karma see my articles What is karma? and A critique of Stanislav Grof and Holotropic Breathwork. The first step, the separation of the observer and the observed, is the step where you are completely ignorant about your painbody; that is: completely identified with it, and therefore in its control. The next step is religion and supporting exercises. Religion and supporting exercises are, as mentioned, a valuable early stage in a spiritual practice. Religion and supporting exercises cleanses and prepares transformation on a collective, unconscious-instinctive, level. The two main reasons why religion and supporting exercises is a necessity is partly, that the ongoing self-confirmation of the ego and its negative automatic thoughts (which, as explained, also can be illusions of positivity), is replaced by a spiritual remembrance, partly that the collective inertia is purificated and prepared, so that the Ego is made transparent along with that original sin and negative karma are transformed and transfigured in the contact with the Source (God, Christ, the enlightened consciousness, the saints etc.) And these two processes mutually fertilize each other (also negative automatic thoughts are based on thought distortions – again: see my book A dictionary of thought distortions). The supporting exercises are the beginning of the spiritual practice, where you begin to activate the higher functions of the mind (you can find the exercises on this blog). In order to discover and break the identification with the samsarical producer of the mind, the subject must discover the hidden source in the awareness or in the innermost of consciousness. It happens by neutralizing the Ego´s, or the thinking´s, functions. This happens through meditation. The source of awareness, the naked consciousness, is hidden because it has melted together with these four functions. They have become a kind of veils, or layers, which are maintained by what you could call the ego-religion and the ego-exercises. The ego-religion and the ego-exercises are the ego´s incessant confirmation or denial of the ego: “it is no use with me!”; or: “wonderful me!”. Both, either the denial or confirmation (which is what positive psychology is focusing on) of the ego, maintain the ego-process, the ego-identity and the ego-centralization. The ego´s religion and exercises are the ego´s needs and longings and will: I want to, I think, I believe, I feel, I wish, I hope, I think, I believe, I feel, I wish, or, in its most common core: I, I, I…. In my articles The New Thought movement and the law of attraction, and A critique of the Indian Oneness movement and its use of Western success coaching, I have described how the worship of the ego can lead to black magic. As mentioned: Philosophical counseling is training people in critical thinking, and critical thinking is in opposition to thought distortions such as Subjective validation and Illusion of control. Critical thinking is about spotting thought distortions, and examining them by presenting reasons and evidence in support of conclusions. Critical thinking is the only tool you can use in order to explore, change and restructure thought distortions. But philosophical counseling is, as we have seen, also training people in investigating their shadow, as well as spiritual practice. So, besides the pure rational aspect in training people in critical thinking, it also involves both life-philosophical, existence-philosophical and spiritual aspects. 1) A rational, where you take your assumptions, conceptions and values for absolute truths, and therewith end in a contradiction between your thoughts and your lived life. 3) An existence-philosophical, where you in your opinion formation and identity formation strive after being something else than what you are, where you imitate others, are a slave of others´ ideas and ideals, and where your actions are characterized by irresoluteness and doubt. 4) A spiritual, where you are identified with your lifesituation, are dependent on religious or political ideologies, and where you therewith exist on a future salvation. You may say, that these four hindrances constitute an actual malfunction in the human mind. And it is this malfunction, which is the cause to the ignorance about the Source of life. Ignorance is again the cause of suffering. In this way philosophical counseling is a practice, which helps the guest to correct this malfunction. 1) A rational, where you examine the validity of your assumptions, conceptions and values, and are searching for coherence between your thoughts and your lived life. 2) A life-philosophical, where you are present in the Now, and hereby achieve that self-forgetful freedom and absorption in the world, which are a condition for love, spontaneity, joy of life and wisdom. 3) An existence-philosophical, where you in your opinion formation and identity formation are yourself, live in compliance with your own essence, and thereby achieve authenticity, autonomy, decisiveness and power of action. 4) A spiritual, where you are not identified with your lifesituation, and where you independently of religious or political ideologies, lives from something deeper: the Source itself: the Good, the True and the Beautiful. (Read more the hindrances and openings in my article The four philosophical hindrances and openings). Coherently I call my method Meditation as an Art of Life. In this way philosophical counseling more reminds about religious counseling. They both have focus on convictions and ideas, and see these as a condition for feelings, not as a result of feelings, as in psychotherapy. They are both engaged in the moral and ethical aspects of the convictions, and especially in the understanding of the meaning of life. Moreover they both involve the spiritual area. What is then the difference between philosophical counseling and religious counseling? If you for example take the great religions, then there within these religions arised what I call philosophical oriented therapy-forms. Thus Gnosticism and Mysticism arised in the early and Medieval Christianity, Sufism in Islam, Hasidism and Cabbala in Judaism, Advaita Vedanta in Hinduism, and Zen and Dzogchen in Buddhism. Unlike the established religions then these philosophical therapies presuppose no religious doctrine, ideology, myth or conception (or psychological theory/management theory). They put their emphasis on realization and inner transformation. And the masters within these philosophical therapies are precisely using a philosophical way of counseling, rather than a traditional religious counseling. That means, that the silent assumptions, things that are taken for granted, and premises within the religions, themselves are facing examination in philosophical counseling. Is there coherence in it? It is self-contradictory? What about one´s way of being, is it self-circling or self-forgetful? And what about the autonomy and the power of action? Are you yourself or dependent on others, etc. The answers in philosophical counseling are not conclusions to anything (as they are within the established religions), but only tools for the guest´s own self-inquiry. As the philosopher Ludwig Wittgenstein says in his Tractatus, then the words only are a ladder, which you can use to rise up above them with. Afterwards you throw it away. In the same way they say in Zen, that the words only are a finger pointing at the moon. You must never confuse the finger with the moon. That, whereof you cannot speak, about that you must be silent. And then you have stepped into the wordless silence. As mentioned in the start, then the philosophical café includes the same elements as philosophical counseling, but on group-level. So the philosophical café is a workshop also based on that concept of philosophy which in particularly the Stoics and Socrates had, namely that philosophy is an Art of Life, or a lifetransforming exercise - an idea also to be found in other wisdom traditions, however more known under what traditionally is understood as meditation. In this way the philosophical café has a great relevance in a time with a lot of stress, but also because it is a time where people more and more asks for meaning and coherence in life. This does not only apply for the individual. Within the education- and health sector, as well as within company- and organization development they progressively talk about ethics, value clarification and value based management, and focus are directed towards issues of more existential, ethical and philosophical character. The philosophical café is a common term for the various forms of social gathering around the philosophical, which Socrates´ Symposion was a precedent for. It can be used both by private persons in form of an event, as well as by organizations in form of teambuilding. Traditionally a philosophical café is held in an ordinary café room, and is open for all, but it is also possible to organize such a café in an "alternative café", for instance by creating such a café in an organization, a bookshop or in private homes. To be mentioned there is the philosophical dinner in which a group of people, over a dinner, get themselves a philosophical conversation in a couple of hours. Or a philosophical salon, in which you start and co-ordinate running salons of philosophical character (also with other introductory speakers than the philosophical counselor himself). Furthermore you can create running cafés over specific topics. The philosophical café can shortly said be arrangered anywhere, where you can talk about a social gathering around the philosophical, on a mountain-top, in a wood, on journeys, holidays, spiritual retreats. The participants suggest the topics themselves, and the function of the philosophical counselor is only to function as a facilitator for the participant´s own self-inquiry. This means that the philosopher functions as a help finding the topics´ implicit philosophical questions, and investigating them in a meditative-existential way. The participants need in that way no philosophical skills. The philosophical café is an exercise in developing the philosophical self-understanding and value clarification on group level. It trains the participants in inquiring and listening in a more existential way, and it develops an ethical conversation culture. The philosophical café is in other words brilliant in connection with teambuilding, but can be used in all kinds of connections, in which a group of people want to look at things from a deeper perspective.